This book stands as the first unified overview of the cellular and molecular mechanisms underlying higher-order learning and memory. It integrates modern discoveries concerning learning and memory disorders such as mental retardation syndromes and Alzheimer's Disease, while also emphasizing the results gained from the cutting-edge research methodologies of genetic engineering, complex behavioral characterization, proteomics, and molecular biology. This book provides a foundation of experimental design that will be useful to all students pursuing an interest in laboratory research. 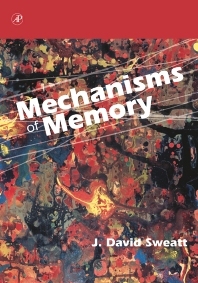 This book is an enlightening and invaluable resource for anyone concerned with memory mechanisms. Neuroscience graduate students and researchers interested in learning and memory, as well as neurologists and psychiatrists.